Steve and his team at Alfa Romeo are great! Bought a car at another dealership and brought it in to Zeigler for service. The service area is small but has a warm inviting feel to it. Prompt, courteous, friendly, professional service. Steve kept me updated as they communicated with Alfa Romeo corporate (great to deal with also) as repairs were made to my girlfriends new Giulia. All work was expertly done and on time. 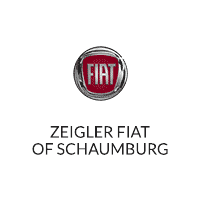 I can enthusiastically recommend Zeigler Alfa Romeo for you Alfa service needs! Worked with Leanne on buying a new car. Although we ultimately weren’t able to reach a deal (another dealer had a better car/price combo) I can’t say enough about her responsiveness and effort in trying to put together a deal for us. I’d highly recommend working with Leanne if you’re at this dealer. I live in Virginia and was lucky to work with Leanne VanGronigen on a potential out-of-state purchase. Although I needed to go in a different direction and ended up not purchasing a car from Zeigler... Leanne was the ultimate professional and went above a beyond to provide quality customer service. Very knowledgeable. Highly recommend!!! Leanne made the process very easy and Zeigler was able to give us the best price in the country. Leanne was also extremely helpful in teaching me how to use everything in my new car.